Kind-hearted Pool Academy students have started a project to help the homeless after seeing people cold on the streets. Head Girl Amber and Senior Prefect Tabitha became aware of the issue during recent low temperatures and wintry weather. They immediately wanted to help. The pair approached Principal, Claire Meakin, who supported their idea to start a project to raise awareness. 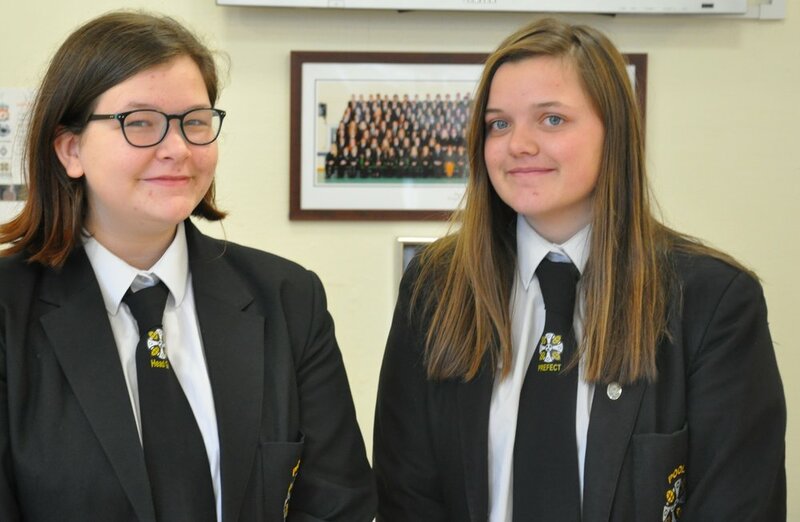 The Year 11 girls are now hoping to hold non-uniform days and bake sales to collect much-needed cash for charities including Shelter and Redruth-based Independent Futures which supports young people aged between 16-25. Tabitha said: “It is cold outside and, especially in the winter, it is hard. We were in Plymouth recently and saw there were people who were homeless. They looked freezing and only had a sleeping bag and we thought that was not fair. “When I used to hear about homelessness I thought about old men with beards sitting on the streets but it is actually families and young people too. Amber said: “The issue of homelessness has really touched our hearts. “One of our plans is to go into primary schools to raise awareness about homelessness with them as they may not always think about it. “We are also hoping to convince them to help us by having fundraisers such as a non-uniform day. “Miss Meakin is giving us lots of support. We are feeling really positive about doing this. Miss Meakin said: “It is wonderful to hear that Pool Academy students are being so selfless and caring about the community around them. “I have offered my support for their project to raise money and awareness for the homeless in the area.